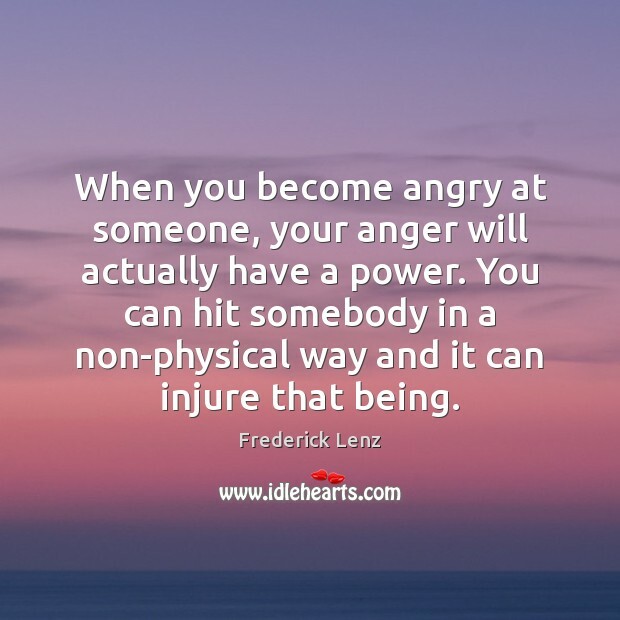 Quotations about Angry At Someone. Quotes to stimulate mind and drive action! Use the words and quote images to feed your brain inspiring things daily! 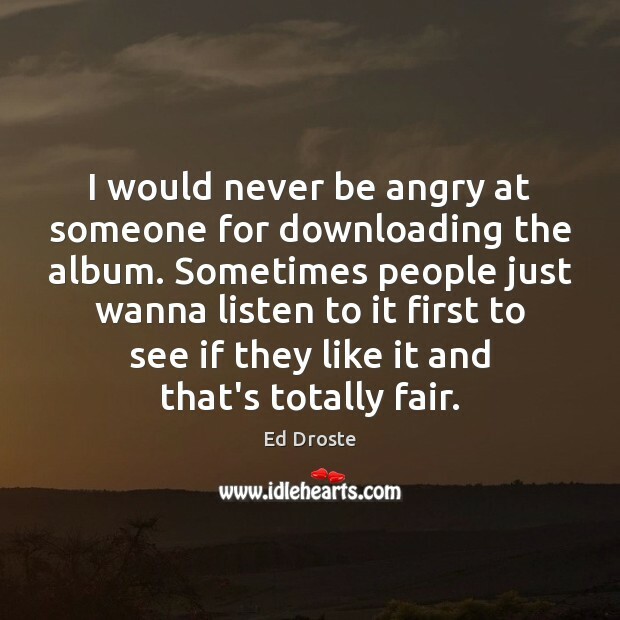 I would never be angry at someone for downloading the album. Sometimes people just wanna listen to it first to see if they like it and that's totally fair. When you become angry at someone, your anger will actually have a power. You can hit somebody in a non-physical way and it can injure that being. 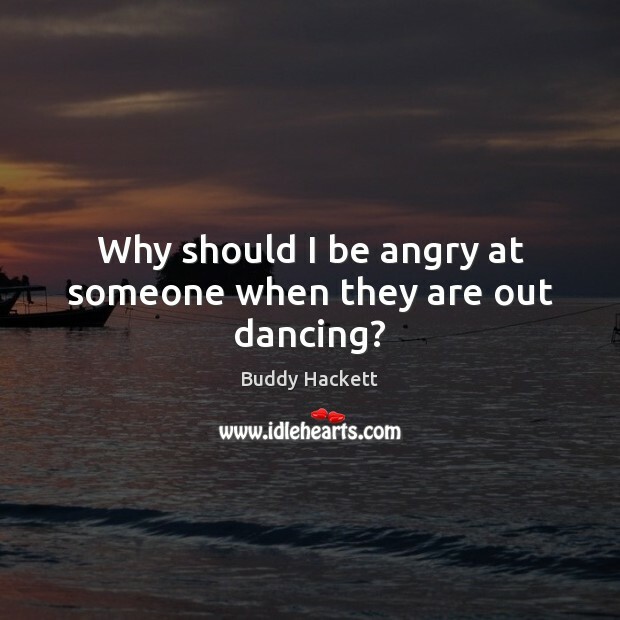 Why should I be angry at someone when they are out dancing? 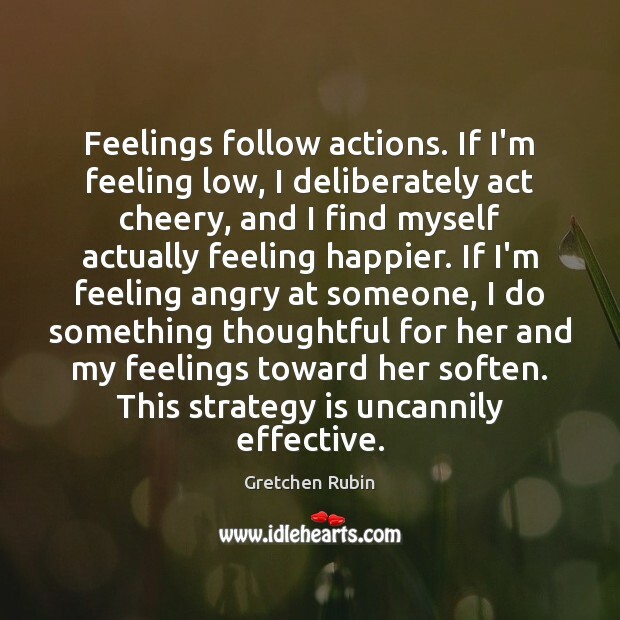 Feelings follow actions. If I'm feeling low, I deliberately act cheery, and I find myself actually feeling happier. If I'm feeling angry at someone, I do something thoughtful for her and my feelings toward her soften. This strategy is uncannily effective. What occurred to me on [‘The Curious Case of Benjamin Button’], and also with the passing of her mother, is that there's going to come a time when I'm not going to get to be with this person anymore. I'm not going to get to be with my children anymore. Or friends, people I love and respect. And so, if we have a flare-up, it evaporates now. 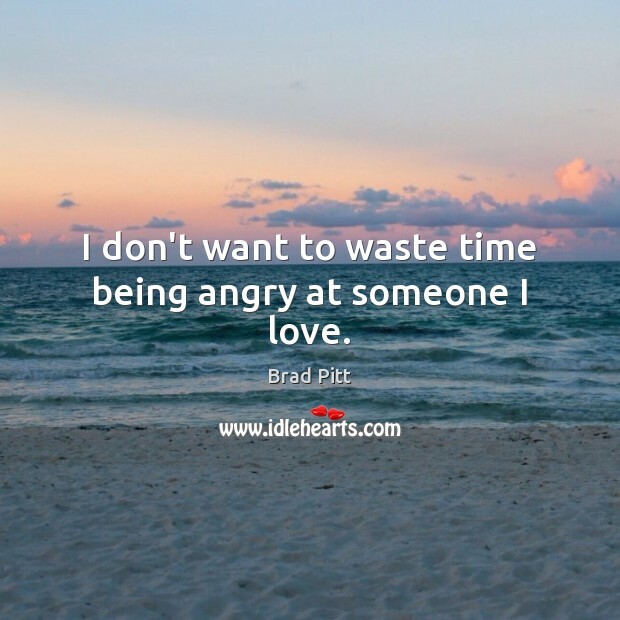 I don't want to waste time being angry at someone I love. I don't want to waste time being angry at someone I love. 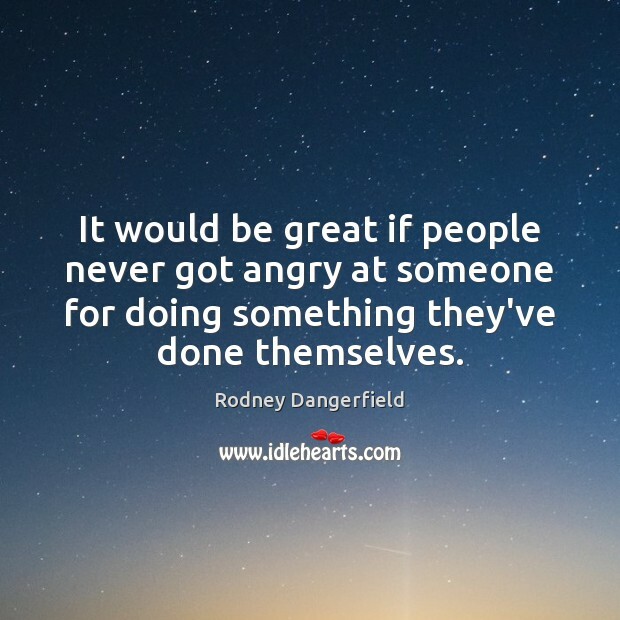 It would be great if people never got angry at someone for doing something they've done themselves. 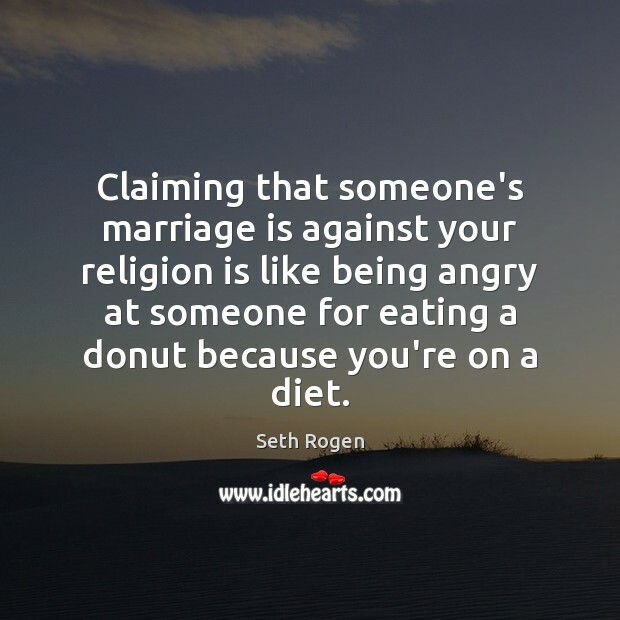 Claiming that someone's marriage is against your religion is like being angry at someone for eating a donut because you're on a diet. If you're angry at a loved one, hug that person. And mean it. You may not want to hug - which is all the more reason to do so. 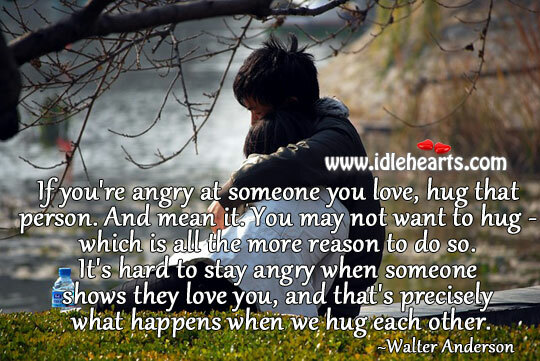 It's hard to stay angry when someone shows they love you, and that's precisely what happens when we hug each other. 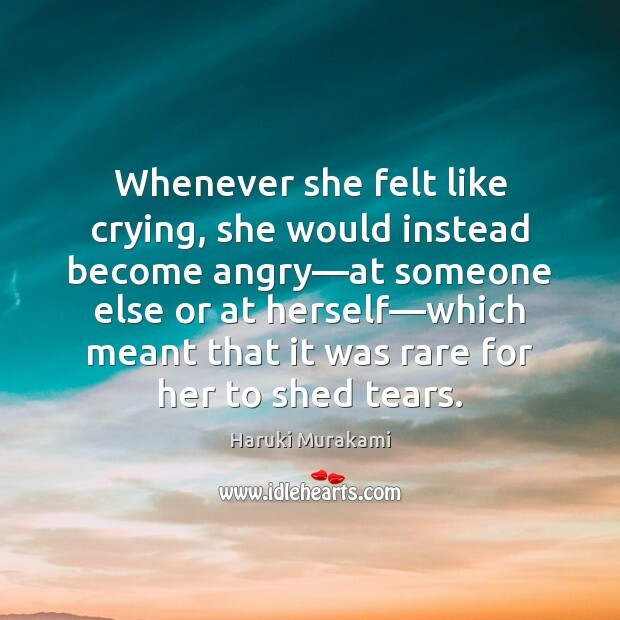 Whenever she felt like crying, she would instead become angry—at someone else or at herself—which meant that it was rare for her to shed tears. 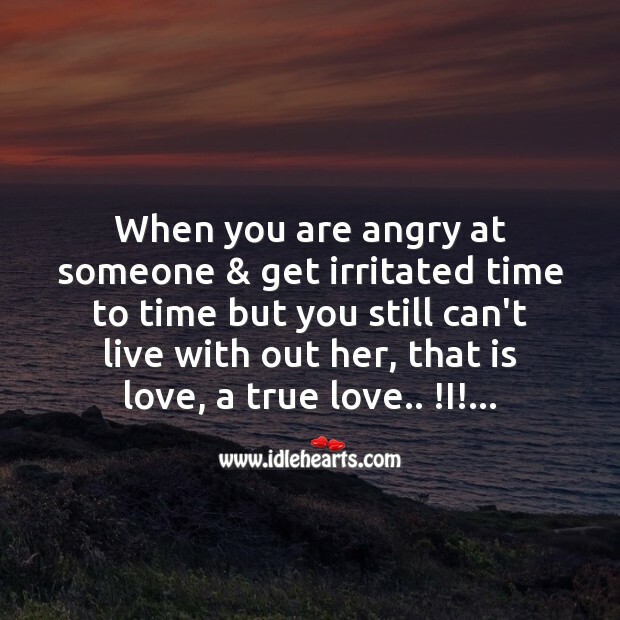 When you’re angry at someone and get irritated time to time but you still can’t live without him/her then it’s true relation”...!!! 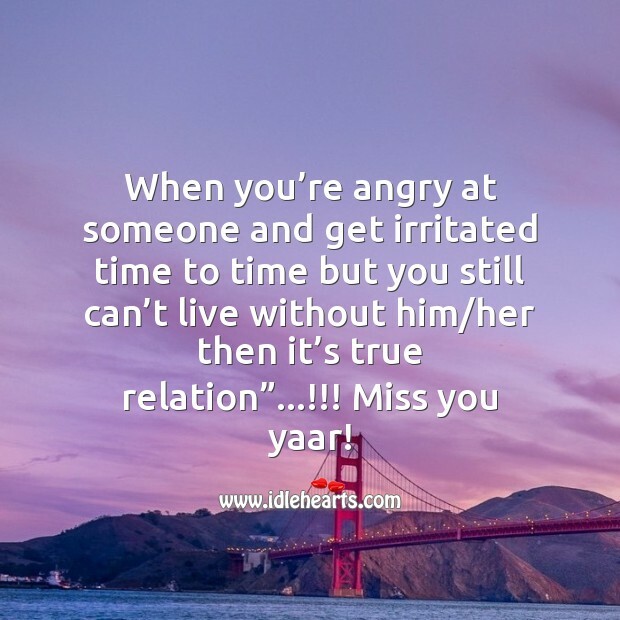 Miss you yaar! If you're angry at someone you love, hug that person. And mean it. You may not want to hug - which is all the more reason to do so. 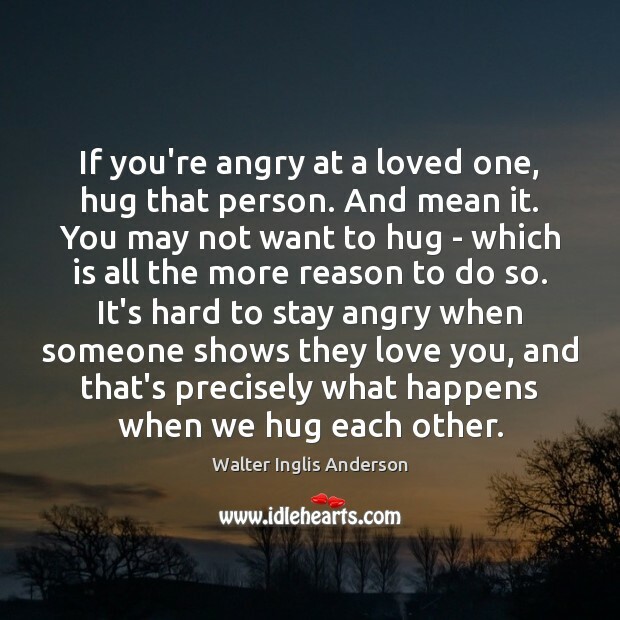 It's hard to stay angry when someone shows they love you, and that's precisely what happens when we hug each other.